The premier sale at Carlisle attracted some furious bidding for attractive sheep. The top price at the thirteenth sale was a bid of 1900gns paid by R Heigh for his Brookdene flock Bentham. 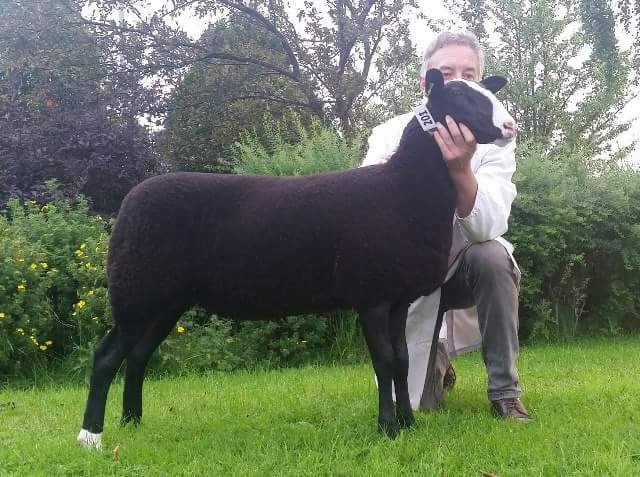 Killymallaght Erinque a Febuary born ram lamb was bred by R & A Megarrell Co Londonderry. Next was the male champion from the same home another lamb at 1800gns Killymallaght Enigma sold to F Wilkies Whitestone flock Aberdeenshire. A further three ram lambs made over 1000gns H Sloan’s Top Notch Eurostar at 1450gns and Top Notch Eyecatcher at 1050gns selling respectively to D Cashel Fermanagh’s Hillview flock and FIO McCall Co Armagh. The third sold at 1300gns to H Sloan Hayberries Executive bred by S and P Addison Barnard Castle. 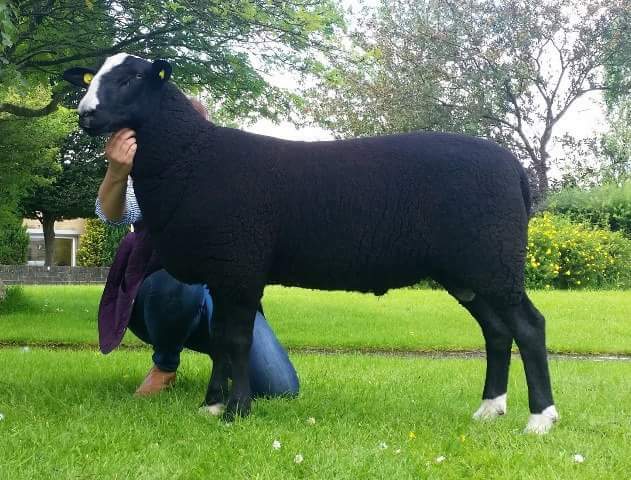 Shearling rams topped at 14oogns another from H Sloan Top Notch Dynamo also the reserve male champion sold to M Thompsons Farloughs flock Co Tyrone. 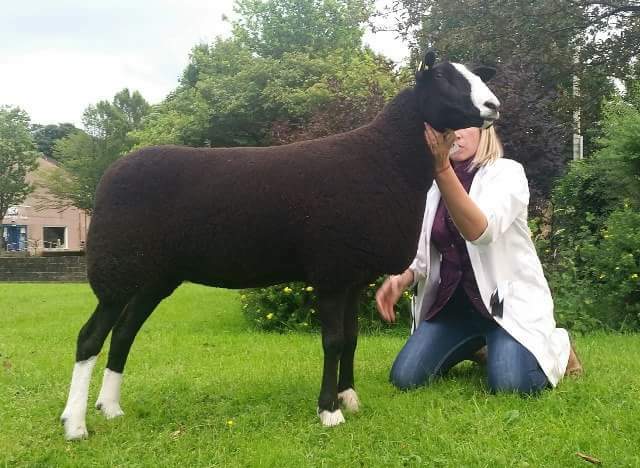 Next one at 1250gns Didcot Dolomite from H Hourston Orkney selling to S Smyths Bessiebell flock Co Tyrone and at 1200gns for Joyfield Dolcegabbana from T and I Goldie Dumfries selling to I Crabtrees Crabetree flock Derbyshire. Aged tups sold to a t top of 800gns Brotherton Crawter from K Shaikh sold to H Pritchard Newcastle Upon Tyne. Following the sharp ram trade the females topped at 1800gns for the reserve female and reserve overall champion Killymallaght Dixie again from R and A Megarell sold to D Brisbane’s Auchmantle flock Stranraraer. Next anther from the same home Killymallaght Damsel selling at 16oogns again to D Brisbane’s flock. Ewe lambs topped at 1200gns from McLaren and Baird Stirling Greystone Eden selling to G Booths Megaboo’s flock Keithley. Then two selling at 1050gns and 1000gns both from S Smyth Bessiebell Eye Opener and Bessiebell Emz sold to S Stewards Janetstown flock Banffishire and J Millars flock Lockerbie. The Overall Champion from T and S Donnelly Saltur Ellie sold at 800gns to P and S Addisons Hayberries flock.